All American Transport, Inc. was founded on the belief that the customer is Number One. Since we started the business in 1994, we’ve backed every auto transport job with a 100% satisfaction guarantee, and that commitment to our customers still stands today. We attain this high level of quality by hiring the best and safest drivers as well as the most knowledgeable and friendly staff in the office to help you facilitate your move. Pride and excellent service is at the core of everything we do. We are so much more than your typical auto transport carrier. We are your local auto transport company. We’re based in the San Francisco Bay Area but are able to ship and transport cars, trucks, boats and specialty vehicles all over the world. We handle projects for families and individuals moving long distances, as well as commercial contracts for auto dealers and private businesses. 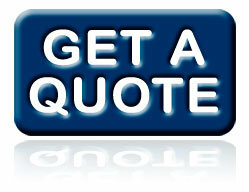 We are not a load posting company, but have direct 24-hour contact with all of our drivers. Our vehicle transportation delivery dates are guaranteed, we never require a deposit, and we provide complimentary shuttles to the SFO Airport the day of your flight which allows you to use your vehicle for any last minute errands up until your flight departs. All American Trucking and Transportation, Inc. is rated A+ by the Better Business Bureau. Please contact us at your convenience and our friendly staff will be here for you to answer any questions you may have.